Japan tightened their belt, but maybe it's just a one time, end-of-quarter thing. 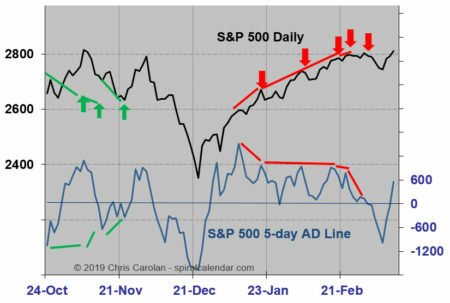 If not, that's quite bearish. Here are some mid-day (2 PM EDT) charts. I am still in the midst of the move. I'll record a video when my home-office is back up and running. 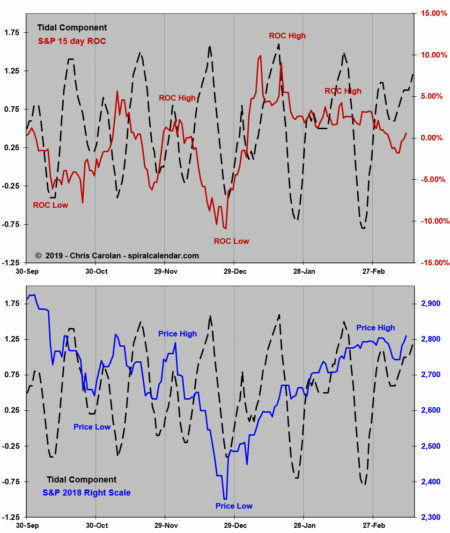 The ability of stocks to move against the tidal component is an indicator of strength. 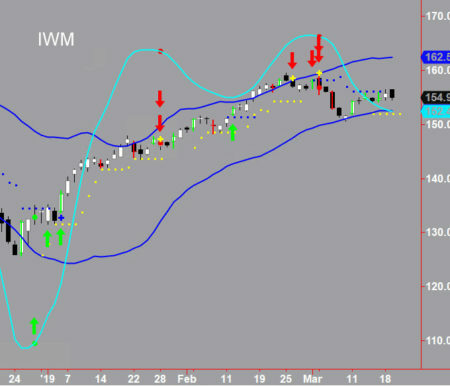 The transports and Russell 2000 (IWM) are the canaries in the coal mine here. I'm watching the tides closely. 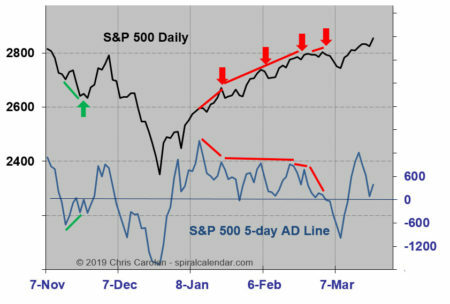 Posted on 13 March 2019 Categories S&P 500Tags SubscribersLeave a comment on What Tide is It? 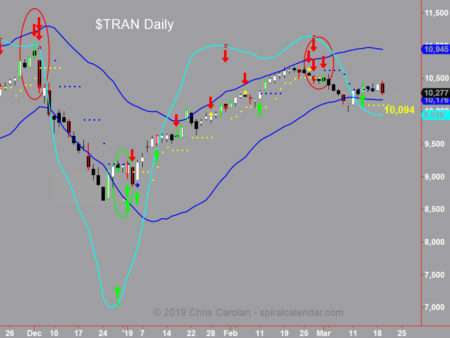 Friday's late rally didn't surprise the tidal chart.